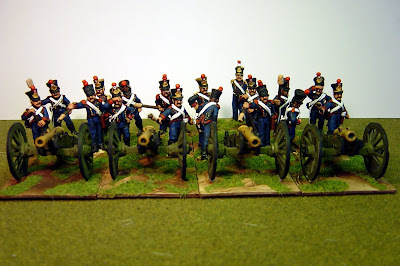 Phase one of my Napoleonics French project is almost complete - 10 battalions of 36 figs each, cavalry (more on that later this month) and the single foot battery, consisting of 6 x 6pdrs (3 guns) and 2 howitzers (one gun). The figures are a mixture of Foundry, designed by the Perry brothers a long time ago (maybe 15 years ago but I'm not sure) as well as Perry figures from their own more modern range. They kindly provided extra guns and less crew as I had picked up a couple of packs of the Foundry crew at a North Star sale a few months back. 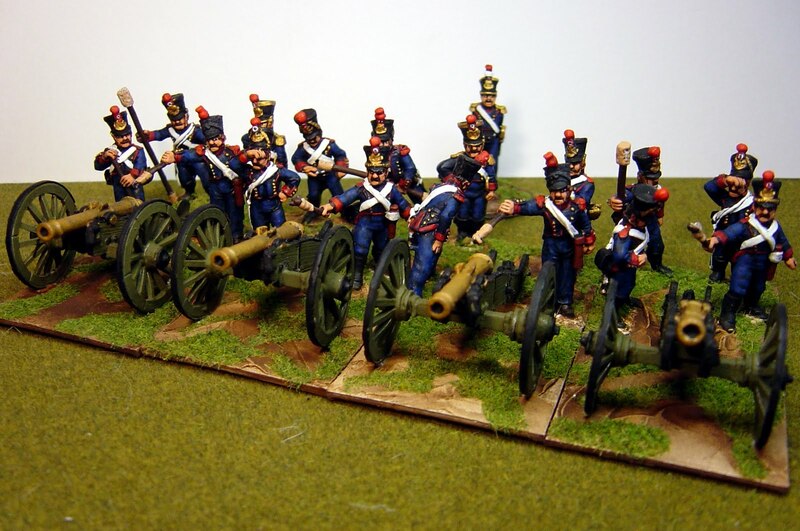 As for the colour of French guns, I have used an old and much valued pot of Humbrol (code is 179 French Artillery Green) which, if you ever see it in a shop, you should grab as it is increasingly hard to find and may not be being made anymore. The other alternative is to buy the Foundry triad called, unappetisingly, "Phlegm Green" 28A,B and C. Personally I have never had phlegm that colour but perhaps creapy-crawlies of some sort do! 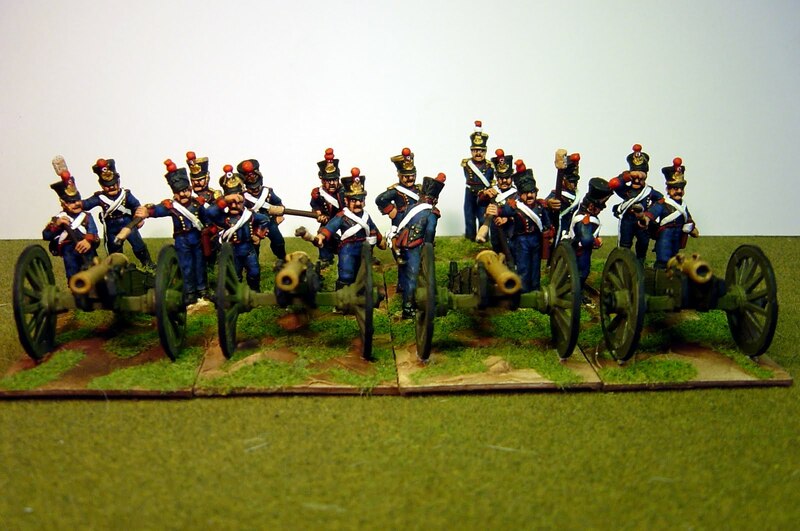 Very soon now I'll post pictures of the Hussar regiment as well some SYW Hessian and Schaumburg batteries. 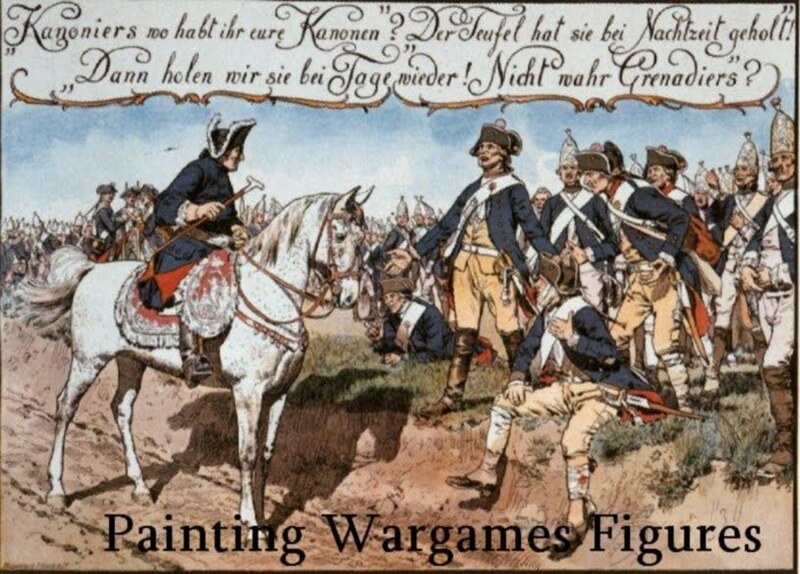 The results of the poll were rather interesting and, after the Russian booklet is printed, I think we will look at doing a Hanoverian booklet. 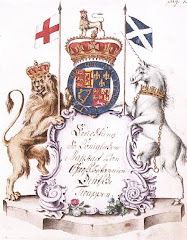 The re-printing of the Ortenburg book is ditched as a reprint as images have appeared on the web, much to my annoyance, and, sadly, I don't think the copyright holders challenged them when they started to leak out. The Web brings benefits to everyone but there are people out there who think nothing about scanning images from books still within copyright and posting them for all to see. 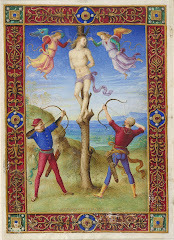 This makes reprinting of image-intensive books of limited economic benefit to publishers.